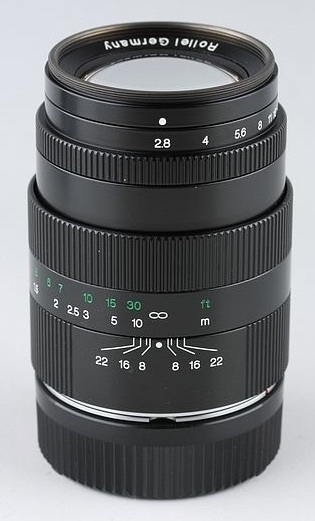 The 80mm f/2.8 Planar HFT lens for the 35RF rangefinder camera is a medium focal length lens ideal for portraiture, landscape details and candid shots from a certain distance. 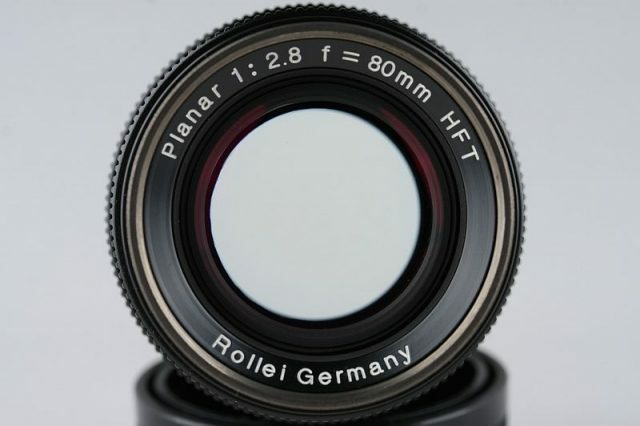 This lens design is based on the legendary medium-format lens used in the famous twin-lens Rolleiflex 2.8 Series, known for its superior field flattening. The lens is originally in Leica M39 thread mount, supplied with a M-bayonet adaptor when purchased. Available in black or chrome. It is reported – quoting Rollei sources – that no more than 40 were made in black and 50 in chrome. Filter size is 43 mm. Made in Germany.